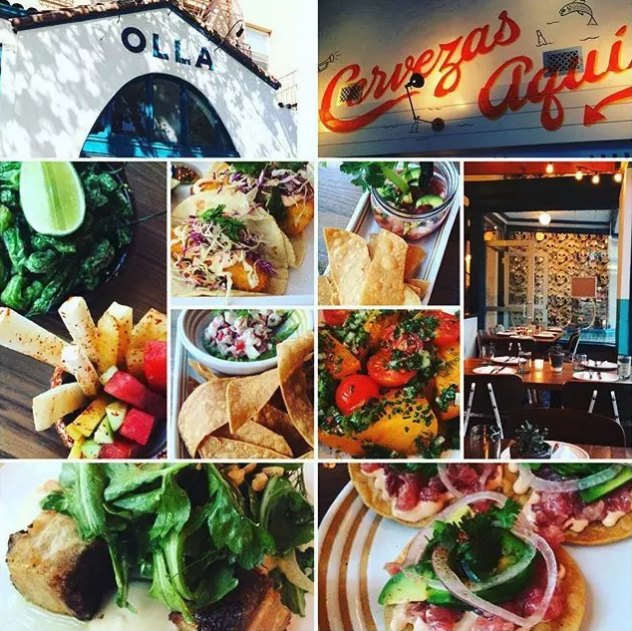 San Jose, CA – An exciting addition to the downtown dining scene, Olla Cocina puts a contemporary spin on traditional dishes from Mexico in a fun and casual environment. the restaurant is located in San Pedro Square in the heart of San Jose’s urban center and opened Thursday, June 16. Olla is a celebration of all that is Mexican: a strong community, vibrant culture and generous, fresh food along with a little noise and quirkiness. Spotlighting the many regions of Mexico, the menu features small, shareable bites as well as larger entrees for a blended dining experience where the sharing of both is encouraged. Dinner starters include Roasted Chiliesserved with sea salt and lemon and Frijoles Fritos, featuring Rancho Gordo beans, Oaxaca cheese, jalapeños and totopos (both $7). Small plates include Ceviche Verde with halibut, lime juice marinade, tomatillo and avocado ($14), Vegetable Tamales with peppers, onion, zucchini, black beans, pasilla peppers, salsa verde and queso Oaxaca ($10) and soups such as Posole de Cerdo with pork shoulder, hominy, cabbage oregano, radish, onion, cilantro, chile de árbol ($13). Salads are tossed with surprising ingredients such as chorizo, masa croutons and crispy quinoa. Larger plates include Tostada de Pollo with chipotle-braised chicken, black bean puree, cotija cheese, avocado, romaine, pico de gallo, spicy crema, cilantro ($15). The menu also features a variety of vegetarian options such asCamote con Mole, a salt-crusted sweet potato, mole sauce, almonds, rajitas of onion and peppers and house-made tortillas ($12).